Outdoor Photographer is conducting the 3rd Your Favorite Places Photo Contest. Five of my images are in the running for this contest. There is a "people's choice" component for this contest. If you like my images, please vote for me by clicking the links below, registering, and rate each photograph. Thank you to any of my readers in advance! The five images I entered are: Pastel Bluffs Wrought Rotunda Moonrise Ha Long Fishermen Striped Sea Stacks Stormy Falls The image above was taken one fine San Diego evening. 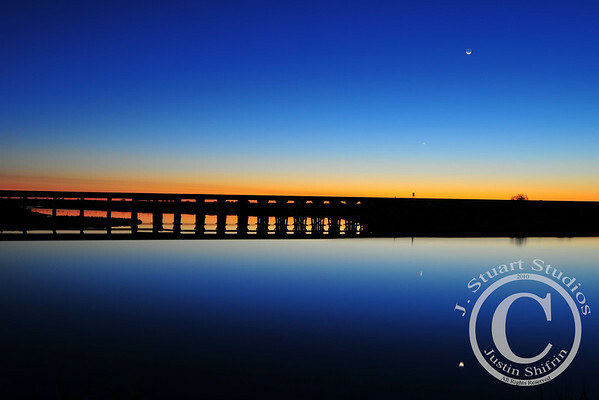 The sun set over the water, the moon gracefully hung in the sky, and the calm water in the foreground reflected the heavens' beauty.